Get On The Eugene Ale Trail For Some Awesome Beers And Lot More! Friends bring happiness to your life. Best friends bring beer! Yes, the Eugene Ale Trail can be your best friend if you are a beer lover who is looking to add a fun experience to this spring season! The state of Oregon is home to some of the finest breweries in the country, and the Eugene Ale Trail is the perfect opportunity for you to try out the best ones in and around the Eugene area as it spotlights some of the best in the business. And guess what? Many of breweries have tasting rooms, making it quite easy for you to pub crawl if you fancy a pint or two of the lusciousness that abounds! Visit the Whiteaker neighborhood and downtown Eugene, where you can experience Eugene’s tap-rooms, growler fill stations and more. 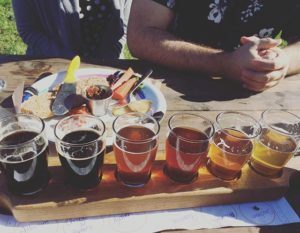 Don’t forget to check out brewpubs in the area like Agrarian in Coburg or Brewers Union Local 180 Oakridge to get a dose of the countryside atmosphere. Beer is not the only thing you can enjoy. There is always something exciting for you to eat along the way as well. 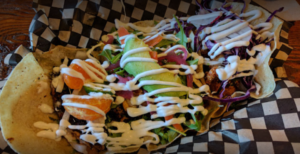 From the flavorful tacos at Tacovore, to tasting the cider selection at WildCraft Cider Works, which is hand pressed from Oregon fruit – there are plenty of exciting surprises waiting you. And, if you have a sweet tooth, then visiting the local Sweet Life Patisserie can be just perfect. After all, it has been Eugene’s best bakery for more than 13 years in a row! So, what are you waiting for? Get to know what makes Eugene so famous – it’s multitude of craft beer selection! Check Out The Portland Japanese Garden's New Look!